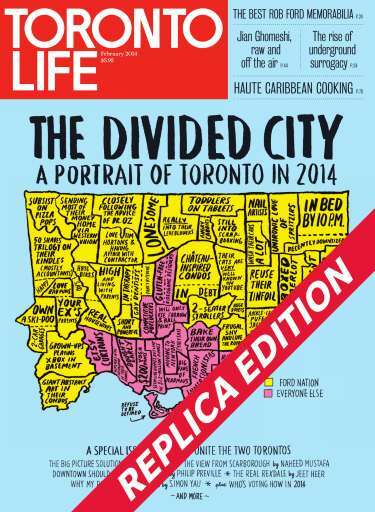 A special issue on how to unite the two Toronto's. 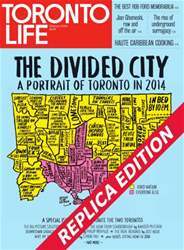 The big picture solution by Chris Selly / The view from Scarborough by Naheed Mustafa / Downtown should share the wealth by Philip Preville / The real Rexdale by Jeet Heer / Why my parents choose Ford by Simon Yau. Plus, Who's voting how in 2014.